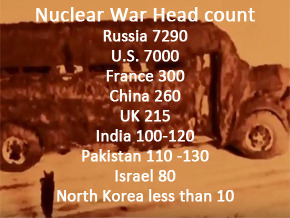 Are we trapped by the proliferation of nuclear weapons worldwide? Can we live without them? Can we see the world other than a balance of power sustained by nuclear threat? Is nuclear strength, a guarantee of peace and stability? These questions have surrounded atomic weapons since their creation, fueling the most terrible fears and dangerous threats. Those who created it showed early hostility to the bomb that they had developed ... a paradox unlike any other. The Bomb and Us looks at the present and the future of military nuclear armament. The specialists interviewed come from all sides: military, scientists, historians, activists and politicians. Some are for disarmament, others are against. Their word and expertise help to better understand the atomic bomb and the issues it represents.